A scout enters the Troop at the age of 11. He begins his Scouting Journey by learning the “rules of the road” in scouting by learning and practicing skill such as fire-building, camping, knife etiquette, survival techniques, and other essentials needed to prepare them for Troop outings. The Scout rank is the first rank on the path to Eagle Scout. 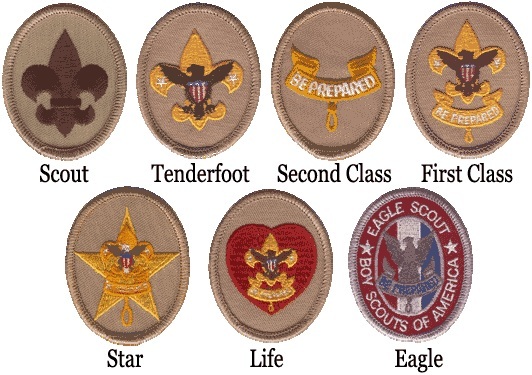 After a new scout earns that rank they work toward Tenderfoot, Second Class, First Class, Star, Life and eventually Eagle. Each rank has specific requirements the scout must achieve before being awarded the rank itself. Each one of these ranks require the scout to prove he or she has lived the Scout Oath and Motto and has dedicated time to community service through the Troop or on their own. As a boy-led Troop, elections for the leadership of the Troop are held three times a year. Each election Scouts have the opportunity to become Senior Patrol Leader, Assistant Senior Patrol Leader, Troop Guide, Troop Instructor, Troop Medic, Quartermaster, Scribe, Chaplain’s Aide, Bugler, Webmaster, Patrol Leader and Assistant Patrol Leader. The scouts are also broken into Patrols that are led by the Patrol Leader and Assistant Patrol Leader. A Patrol Leaders Council meeting is held once a month. The Scoutmaster and Assistant Scoutmasters are adult volunteers approved by our Troop Committee. As soon as a Scout enters the Troop they have the opportunity to earn merit badges. 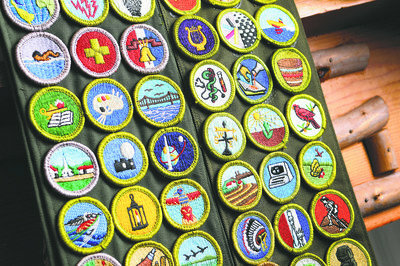 Merit Badges are achievements in specific areas such as Swimming, Lifesaving, Citizenship, Climbing, Search and Rescue, Rifle Shooting and many many more. Troop 4077 has a team of Merit badge Counselors that work with the Scouts to help them identify which badge they would like to earn and assist them in achieving the requirements to do so.